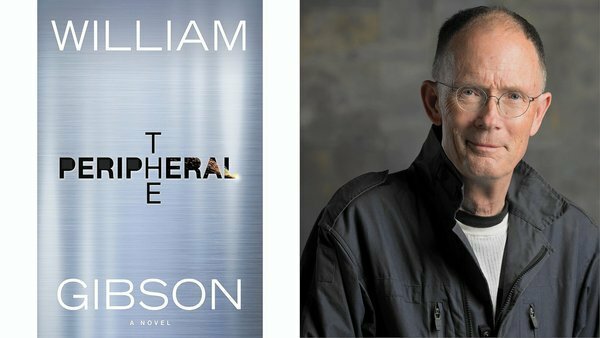 William Gibson is, if nothing else, a careful writer. You can feel it in the progress of any one of his novels and in the short stories. Careful in his choice of topic, placement of characters, deployment of dialogue, style. He sets each sentence in place with a jeweler’s eye to best effect. The results often seem spare, even when they are not, and have invited comparisons to noir writers, minimalists, modernists. Entering upon a Gibson novel is a step across a deceptively simple threshold into a finely-detailed maze that suggests multiple paths but inevitably leads to a conclusion that, in hindsight, was already determined had we but noticed just how sophisticated a writer it is with whom we’re dealing. His last set of novels, the Bigend Trilogy, was not even science fiction, though they felt like it. The application of a science-fictional perception of how the world works produced a dazzling bit of dissonance in which the ground itself became familiar through alienation. He does that, shows us something we should be utterly familiar with as if it were an alien artifact. As a result, the shock of recognition at the end contains a thick cord of nostalgia and a sense of loss mingled with new discovery. The chief discovery, of course, is the realization just how close we are to what we think of as The Future. Through this effect, he renders the future as both less alien and stranger at the same time. Which is something he indulges fully in the opening chapters of his new novel, The Peripheral. For a while you don’t know that the two points of view are not in the same world. It’s a masterpiece of misdirection achieved through the intermediary of a game. Flynn Fisher’s brother is ex-special ops military, living in an old airstream in a town in the middle of a mid-21st century rural America that is clearly struggling with the unstable economy. To make extra money, he often moonlights as a beta tester on new games. The novel opens when he brings Flynn in to sub for him one night while he goes off to confront a radical religious group he hates, known as Luke 4:5. (The verse reads: Then leading him to a height, the devil showed him in a moment of time all the kingdoms of the world. Even here, Gibson is playing at metaphors pertinent to the novel in its entirety.) Flynn used to do this sort of work herself but quit when the games became more and more violent. He assures her this isn’t like that, she’ll be running a security drone of some kind keeping paparazzi away from a high-rise luxury apartment. He’ll pay her well, as he’s being likewise well-paid. Just one night, maybe two. She agrees. The simulation seems to take place in a city she sort of recognizes and may be London, but it’s all different from the London she knows. It’s as her brother claimed, flying interference, until the second night when the woman living there is murdered most horrifically and Flynn is a witness. Thinking it’s still a game, she wants nothing more to do with it. Meanwhile, Wilf Netherton, a publicist living in London, is working with a performance artist who has been tasked as a negotiator to a colony of self-modified humans living on an artificial island of reformed debris. Wilf’s job is to keep her on task, which can be very difficult as she is very much a rebel and can go in unexpected directions without any warning. As she confronts those with whom she is supposed to negotiate, something goes wrong and she ends up killing the leader. Another murder. Netherton’s associate, an operative in government intelligence, must divorce herself from the fiasco and cut ties with Netherton. He goes to ground with a friend of his, a member of a powerful family of Russian descent, who has a unique hobby—he operates a “stub” in history. At this point we realize that Flynn and Netherton are not simply divided by class and place but by time itself. Netherton’s London is 70 years in Flynn’s future and is the London wherein Flynn witnessed the murder of the woman, who turns out to be the sister of the performance artist who just committed a second murder. For her part, Flynn is in their past, a past Netherton’s friend has been playing with via a form of time travel that is based on the transfer of information. And we are now fully in the grip of one of the cleverest time travel stories in recent memory. Nothing physical travels, only information. Gibson has taken a page from Benford’s classic Timescape and wrought changes upon it. Flynn and Netherton “meet” once a police inspector of Netherton’s time becomes involved and starts running the stub Netherton’s friend has set up. She needs a witness to the murder before she can act. Flynn is that witness. What follows is well-imagined set of antagonistic countermeasures that affect both worlds economically. And that may be one of the most interesting subtexts. Flynn finds herself the titular head of the American branch of a corporation which till then only existed as a device to explain the game she thought she was beta testing. As such, she becomes enormously wealthy out necessity—she is under attack by the forces allied to the murderer in the future. Politicians and corporations change hands, the economy is distorted, the world severed from its previous course, and everything is changed. Gibson is indulging one of his favorite ideas, that information is possibly the most potent force. Data has consequences. Flynn is one of Gibson’s best creations since Molly Millions. Smart, gutsy, practical, and loyal to family and friends, she adapts quickly to the staggering reality into which she and hers have stumbled. She manages in both time zones admirably but not implausibly. As counterpart, Netherton is an interesting case study of a man who hates the times in which he lives, is by far too intelligent to ignore it, and subsequently suffers a number of self-destructive flaws which he gradually comes to terms with as his interactions with Flynn progress. The apparent simplicity of the narrative is another mask for the games Gibson plays. It doesn’t feel like a profound or dense work. Only afterward, in the assessment phase, do we begin to understand how much he says, how solid are his insights, and how rich are his conceits. Gibson creates a surface over which the reader may glide easily. But it’s a transparent surface and when you look down, there, below you, is a chasm of meaning, awaiting inspection, offered in a moment of time.